Nike Promotion- NEW HOME 09/10 Manchester United Jersey! 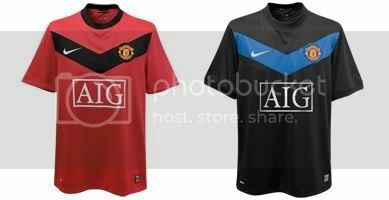 RE: Nike Promotion- NEW HOME 09/10 Manchester United Jersey! Any idea how the limited edition packaging looks like? 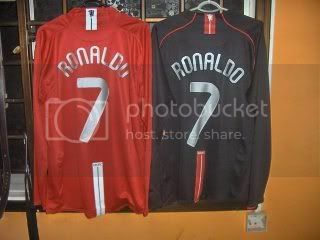 (07-04-2009, 07:18 PM)laarcenciel1 Wrote: I just placed my ordering for the new home jersey @ weston queensway. It's only male jersey with short sleeve, no long one is available. The price is S$99 with patches of last season champion of EPL. I also ask them to print Roo 10 on my jersey, which costs me another S$48. I'm eager to get it on the launch day, I don't want to wait for several months to get only 10-20 dollars off. They uses last season gold badge? I wonder when new season is here, is BPL going to use same badge or new champion badge? we are just keeping the members informed of the Nike Promotion. The main point of contact will be Weston. Thanks a lot.I will check it out and update you guys. i believe the Champs patch should come in a pair, as they always do. if they say it is worth $20, it ought to be in a pair, if not it is not worth the promotion. is it any size available? like S M L XL? The patches should be updated. They're the golden ones showing "Champions 08/09" for the EPL, although the template will be the same as the previous two (07/08, 06/07). I don't know whether all sizes are available or not. Weston just gave me a small card, letting you click the size you want. Anyway, all size, from S to XL, are shown on it. Printings are calculated like this. For one number, it's S$15. For one character, it's S$3. 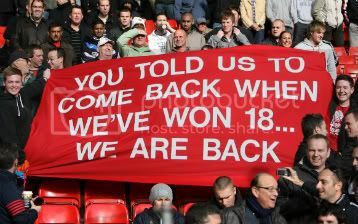 Hence, for Rooney 10, it's 15X2+3X6=30+18=48 dollars. Hope my reply can clear concerns you guys had before. (07-05-2009, 03:36 PM)laarcenciel1 Wrote: Hi, guys. Current time: 04-20-2019, 03:06 AM Powered By MyBB, © 2002-2019 MyBB Group.